We recently bought a condo, and from what I can tell, we're the only unit in the building that doesn't have Chinchilla White walls. I like to think of our living quarters as the rainbow box, as we've covered our walls with most of the primary colors. And I love every color in our place. Except for the bathroom. 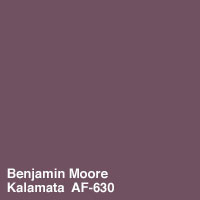 The color we painted it is called Kalamata, and it's from Benjamin Moore's new Affinity line. I love the color swatch. I love other rooms I've seen done in the color. But in our bathroom, it just doesn't look right. 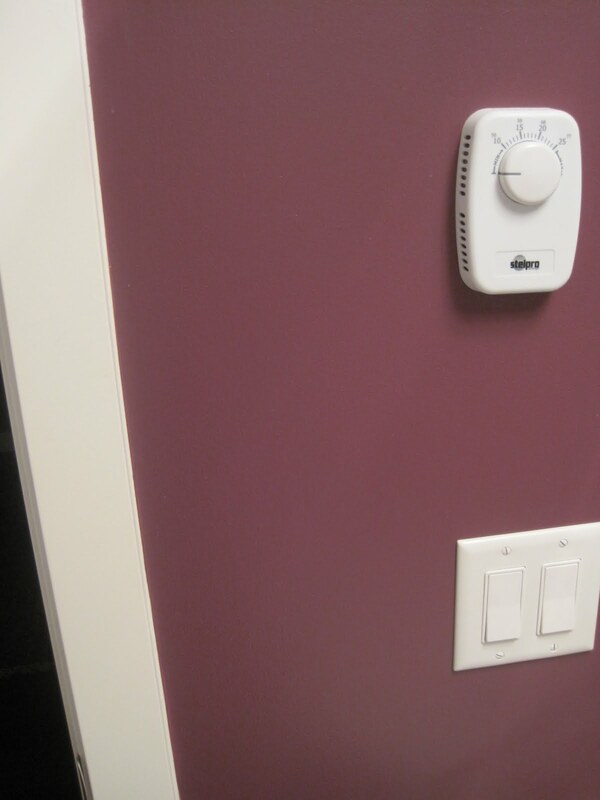 When Jackie first painted it, the walls looked more dusty rose than deep purple- and left something to be desired. And so, one month after we've painted the bathroom, we're looking at new color options. It's part of the curse of being a color-connoiseur. I'm beginning to wonder if the heinus dusty rose under tone is due to the fact that I color matched the paint into Behr, rather than getting the actual Benjamin Moore paint. Oh well,- live and learn. This begins our quest for a new bathroom hue to invigorate and inspire. Any suggestions? It may have something to do with matching using Behr paint. 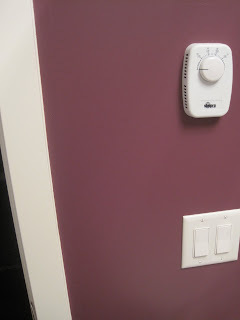 They used to match so perfectly you could never tell the difference, but Behr did away with one of their tinted bases and now many of the colors don't match up correctly. It's too bad because Behr (in my opinion) makes the best paint!